Magnum is a fire training system designed to handle the requirements of advanced fire extinguisher and hose line training. Reinforced construction and rugged components mean you can run evolution after evolution, and hit Magnum with virtually anything in your firefighting arsenal for intense hands-on training. Challenge your firefighters to fight the Magnum Fire Training System with extinguishers or hose lines for full scale hands-on training. 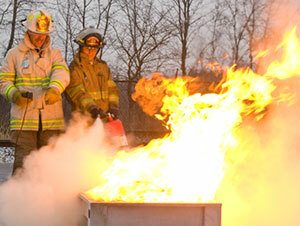 With an output of 2.8 million BTU, your trainees feel the heat and learn how to respond. Smart Controls shut-down the propane and auto-ignition only if the fire is knocked out completely. Magnum is tough enough to handle a hose line — smart enough to be a BullEx product. Training this intense has never been so simple. Built-in wheels and easy set up allow you to quickly create challenging training scenarios that are endlessly repeatable. Smart Controls shut down the propane and auto-ignition only if the fire is knocked out completely for accurate and comprehensive training. 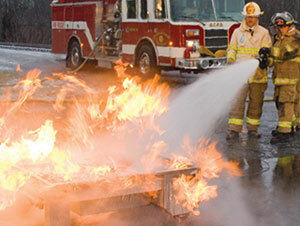 Stainless steel props can be used with Magnum to demonstrat different fire scenarios. Available props include a Computer Monitor Prop, an Electric Motor Prop and a TrashCan Prop. Magnum packs 2.8 million BTU for intense and challenging training evolutions with a large burn area and up to nine feet of flame height. Central Pilot The industrial-grade pilot is located in the center of the system, allowing for rapid ignition and maximum burn area. 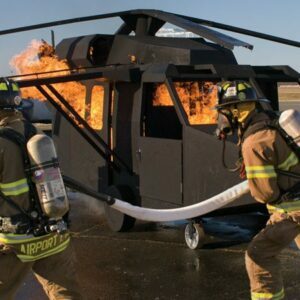 The Magnum pilot is the same ignition system used in full-scale firefighter training facilities. 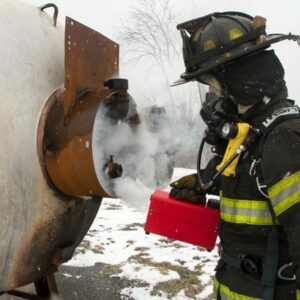 Flame Type Selection Dual burners allow instructors to choose between pressurized vapor fires and liquid surface fires. Pressurized vapor fires are created by direct ignition of propane, and liquid surfaces fires are created with water bath burners. Smart Controls If the trainee fully extinguishes the flames, on-board sensors shut-down the system, signaling a successful evolution. 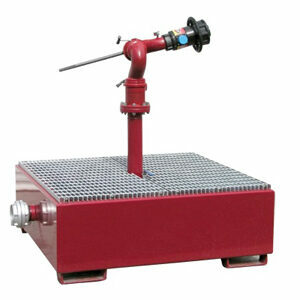 Fire Props Stainless steel props can be used with Magnum to demonstrate various fire scenarios. Available props include a Computer Monitor Prop, an Electric Motor Prop and a TrashCan Prop.